You can never have enough sample holders no matter what machine you’re running. We’ve certainly found this to be true at Texray so we always try to keep a large number of them on-hand. 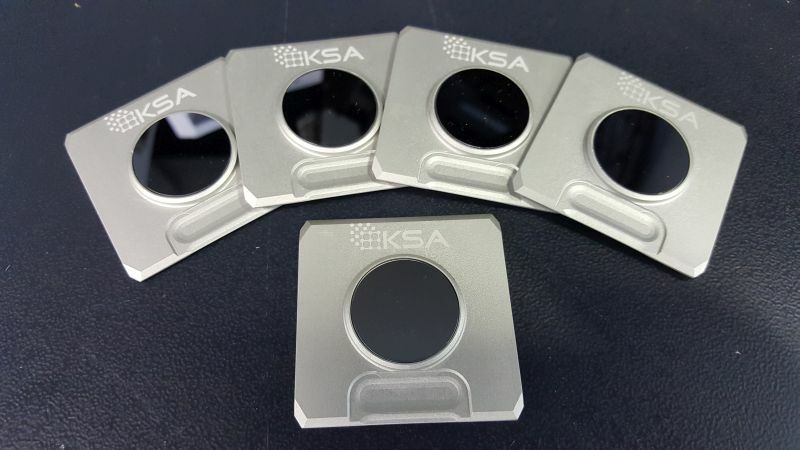 KS Analytical Systems has always made one-off and custom sample holders for the Bruker instruments, but we’re now offering the standard PMMA powder holders as well at significant cost savings over the OEM version. 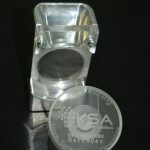 The standard holder (25mm x 1mm deep well) is priced at $55 with bulk discounts starting at 20 holders. Custom well depths, diameters, grooved floors, side-loading and zero-background versions are available. 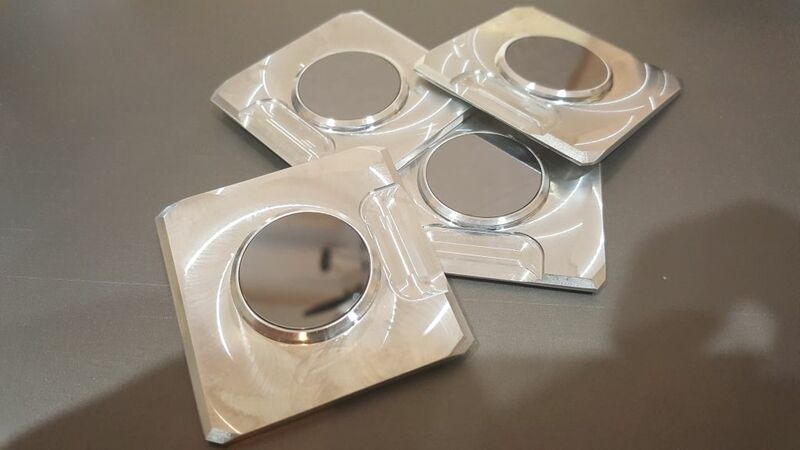 Our PMMA holders are compatible with Bruker D8 Focus – D8 Advance (single, FlipStick autosampler, 90-position autosampler), D4 Endeavor and D2 Phaser (single only) systems. D500 and D5000 instruments can also use these holders. We’ve brought the complete manufacturing process in-house to give us the freedom to make the custom designs our customer have always asked for. 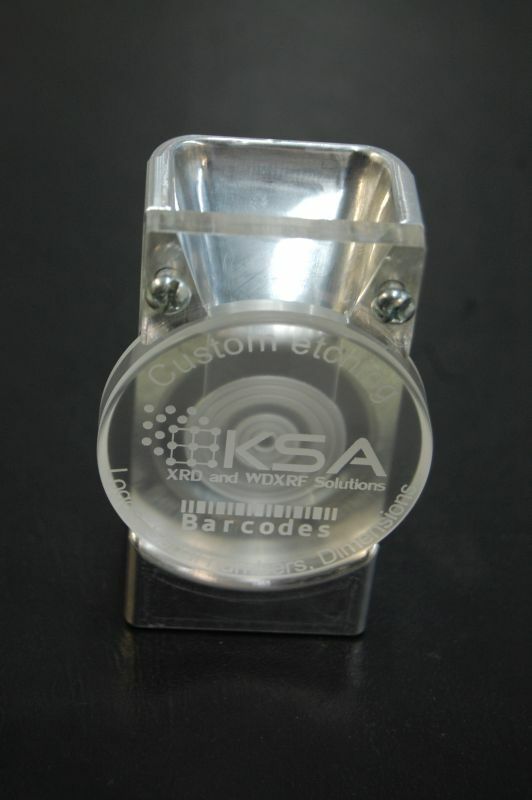 This includes custom laser etching. 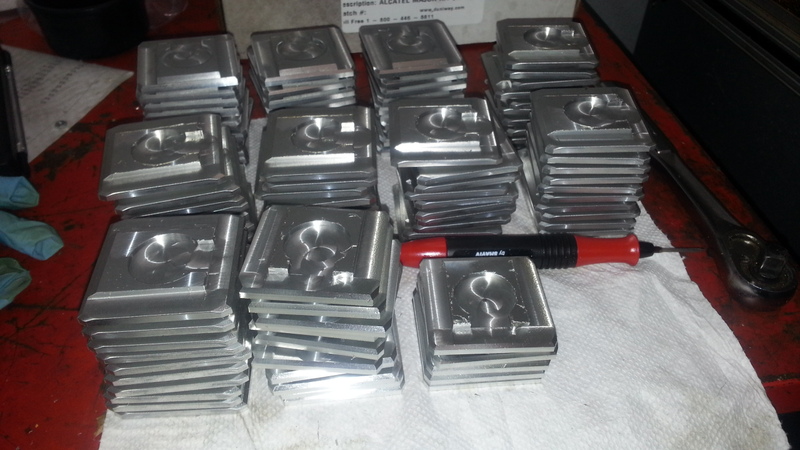 Company logos are a common request, but we’ve also started serializing sample holders on request. 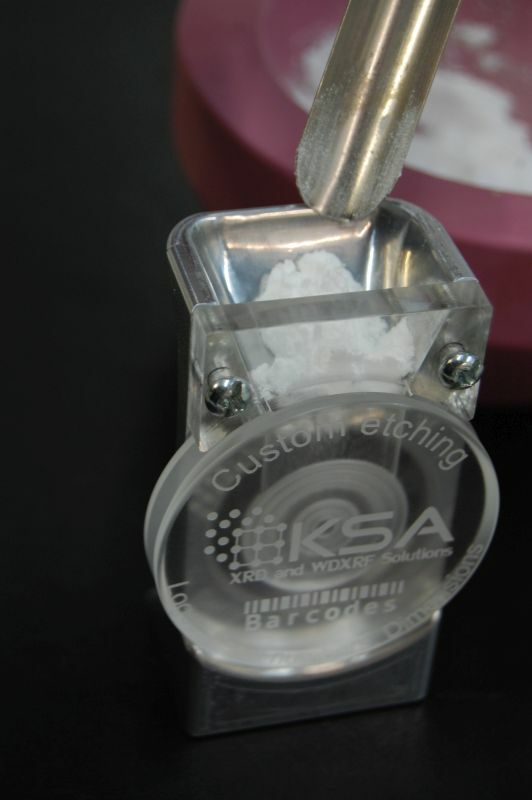 At Texray, we even etch them with barcodes for tracking samples through the data collection process. 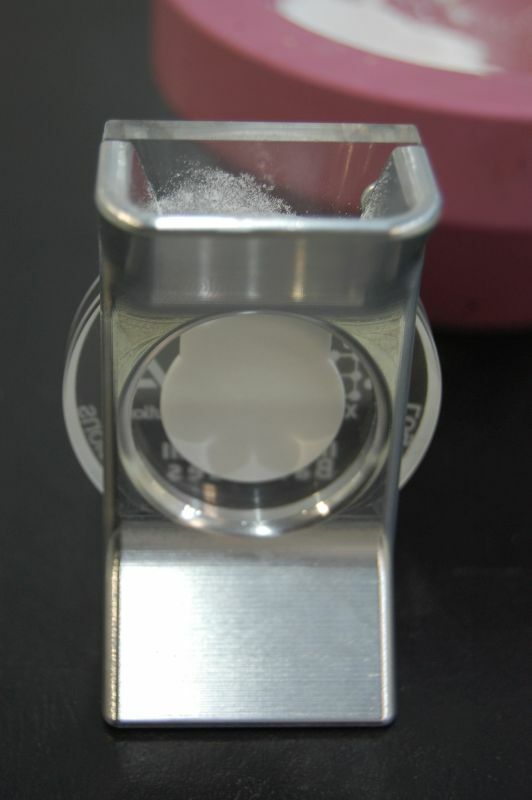 The pictures below show a custom funnel tool for filling side-loading sample holders. 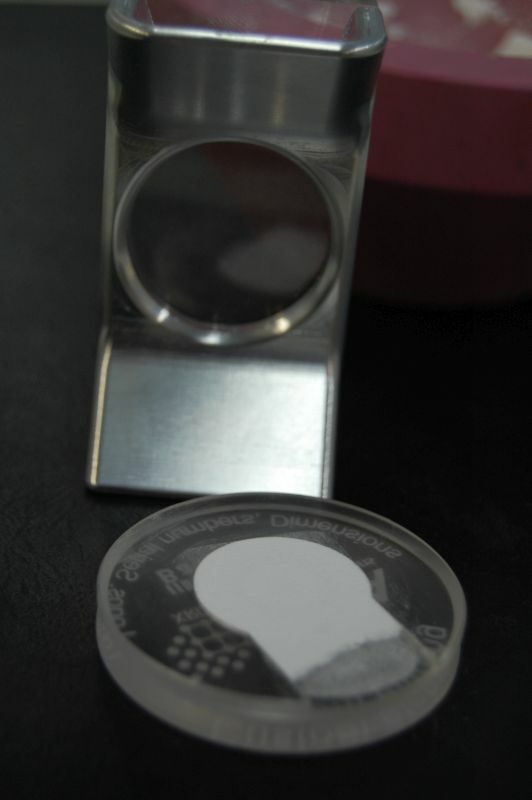 The tool is machined from billet aluminum with an acrylic window on the funnel to make it easier to gauge fill level. 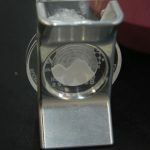 The funnel itself is polished and the viewing plate which allows the users to see when the sample well is full is made of sapphire crystal for maximum scratch resistance. 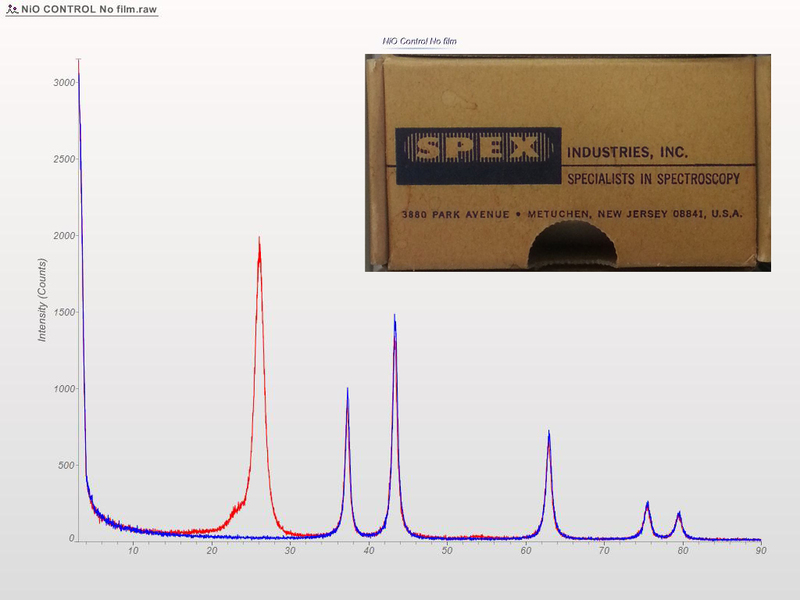 It’s relatively common for us to receive very small volumes of material for analysis. Often this is the total amount available so getting the right answers is extremely important. When these come in as powders, the answer is always to run them on a zero background plate, but sometimes that’s not the case. 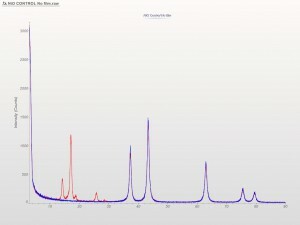 Luckily, there are other options for analysis of very small quantities. 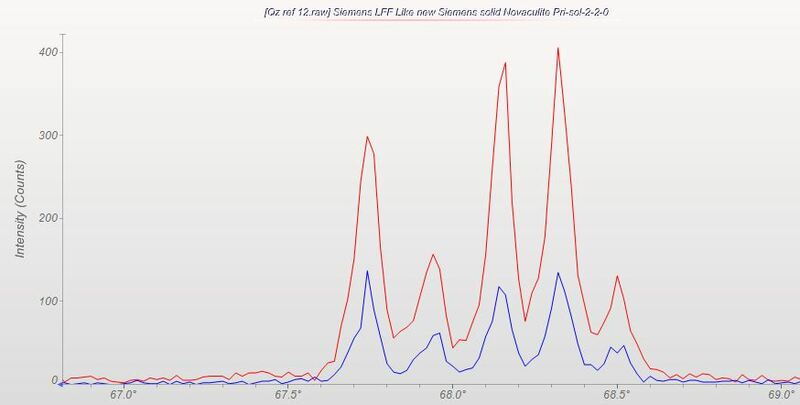 The most common application for filter-membrane sample holders has always been respirable silica quantification. This is mandated by OSHA and is an extremely common industrial hygiene test. Ambient air is sampled with a fixed or mobile suction system and particles are deposited onto a PVC membrane inside a sealed cartridge. 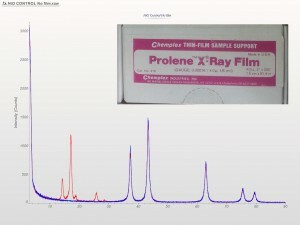 Testing procedures are defined by NIOSH7500 and since this is a total quantification method (not a relative method), it’s critical that the entire sample is measured. Unfortunately, the measurement cannot be completed on the PVC membrane as received. 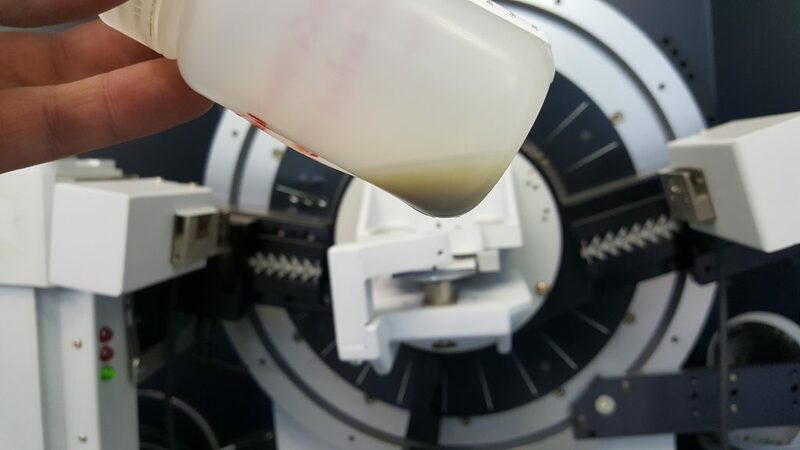 Transferring the sample powder to an Ag membrane is accomplished by dissolving or ashing the PVC away, diluting the remainder in a solvent and depositing it onto the Ag membrane by vacuum filtration. 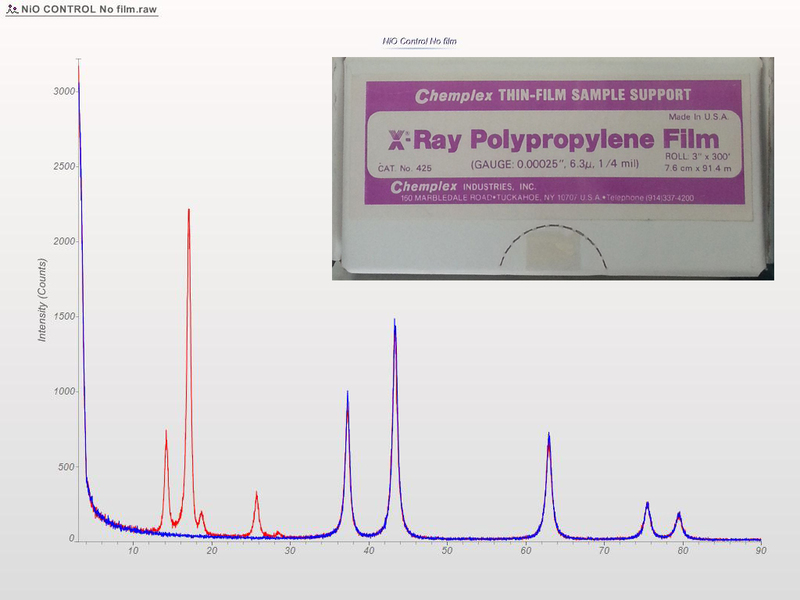 The end result is an extremely low loss of analyte even for very small volumes of material. 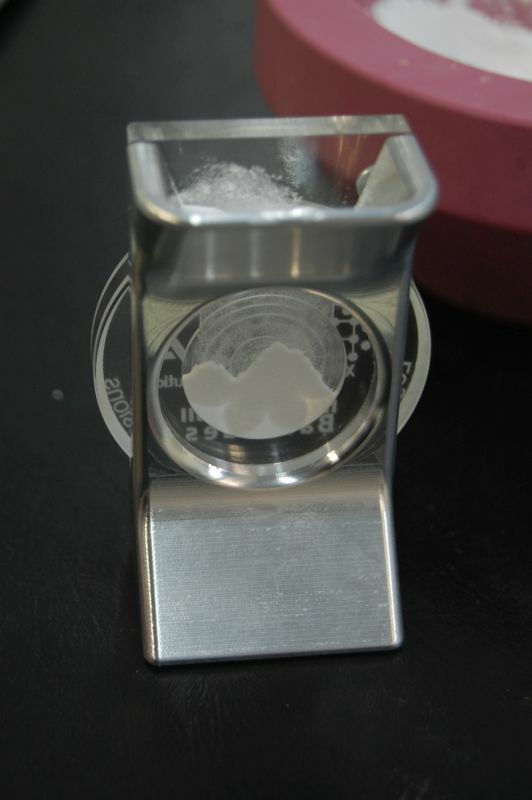 This preparation method is also very useful for other types of samples which might have crystalline particulate suspended in a solution. 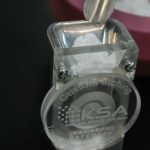 Drying samples can be time-consuming, heating them to boil off liquid can cause phase transitions in the crystalline analyte, and handling dry powder in very small quantities is a very good way to lose material. Vacuum filtration solves all these problems. 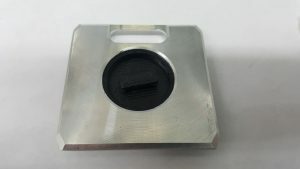 Our most popular custom sample holder is the SC40F25 which is designed to hold the common 25mm Ag membrane filters used for this type of mounting. The anodized Al body is a time-tested design that works very well and causes almost no interference with the data, unlike the original injection-molded plastic parts. However, the most common method for retaining the membrane has always been to drop a metal support disk behind it and use an ID snap ring to retain both the disk and membrane. This can be a frustrating operation even for experienced hands. 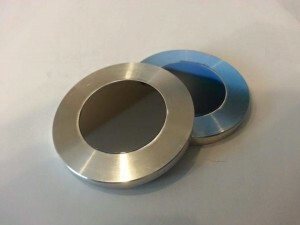 Snap rings are hard to control and the high spring tension gouges the inner diameter of the Aluminum body to the point that the holders must be replaced periodically. After watching so many clients struggling with this system, we thought we could find a better option. The first step was a simple, laser cut acrylic backer instead of the metal disk. 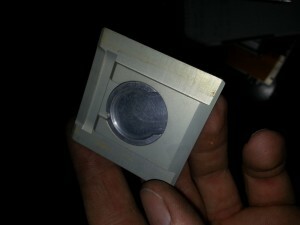 The acrylic was thicker which limited the depth to which the snap ring needed to be set. This was an improvement but still required the snap ring. 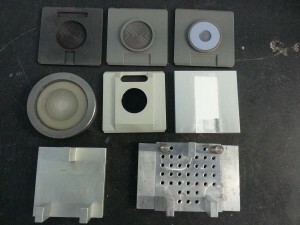 The next step was 3D printed plugs which could be pushed into the well. These supported the membrane and held it in the plane of diffraction at the same time. A standard pair of pliers was all the was needed to grab the plug and gently rotated it to release the membrane. This seemed like the ideal solution, but we heard from one user who claimed that the plug was causing an interfering peak in his measurements. We’ve been around the block with 3D printed sample holders in general and it’s definitely true that the common thermoplastics used will crystallize when cooled rapidly. 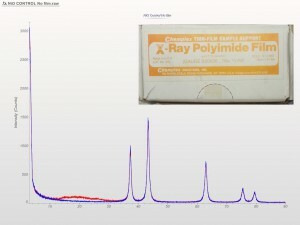 This causes lots of problems for routine analysis of powders, but this was the first we’d heard of a peak being visible through an Ag membrane. Perhaps this user had a particularly thin membrane, but regardless, we needed a new solution, both for their lab and our own. 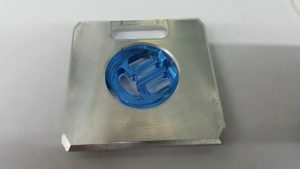 Our current solution is a laser cut “spring” backer which again combines the function of retainer and support in one part. The spring is easy to install by hand and can even be removed by hand, but forceps or needle-nose pliers make this easier. These have been working very well so we’re hopeful that this is going to be a long-term solution that we can share with our clients. A great many factors affect the quality of data one can collect on any given instrument, but there are times when simply holding the aliquot is a major hurdle. We spend a great deal of time working out the best ways to hold odd samples and even create custom hardware to do so in some cases. 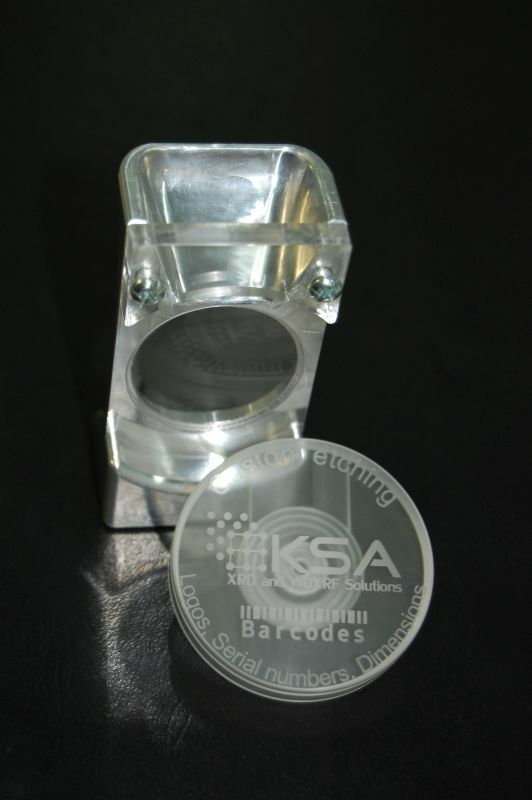 Click here for some of our other posts related to the various sample holders we work with. Choosing the best sample holder for a given project is one thing, but there are also times when a completely different stage is required. The most common stage is the simple, single sample stage. This relies on three pins to define the plane of diffraction. The sample holder is pressed against these pins by a spring loaded plunger beneath it. The D5000 version added a 4th pin which allows for the entire lower section to be removed and custom fixtures to be added. 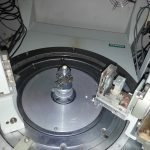 This is a completely custom stage designed to hold a large thrust bearing race such that the bottom of the groove is in the plane of diffraction for retained austenite and residual stress measurements. 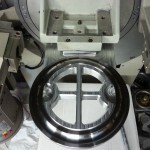 The bearing is held in place by magnets. Another variant of the D5000/D8 single sample stage eliminates the need for a lower section, but still retains the standard pin arrangement. 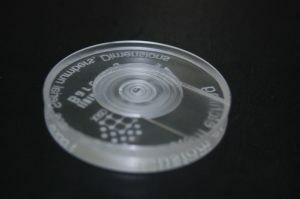 This is extremely useful for very large samples which can be held up to the plane of diffraction by a lab-jack. We’ve used a piece of foam here to create some spring tension. 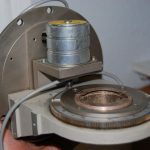 Rotating sample stages are an excellent way to improve data consistency and should be considered a basic requirement for reliable quantitative XRD data. 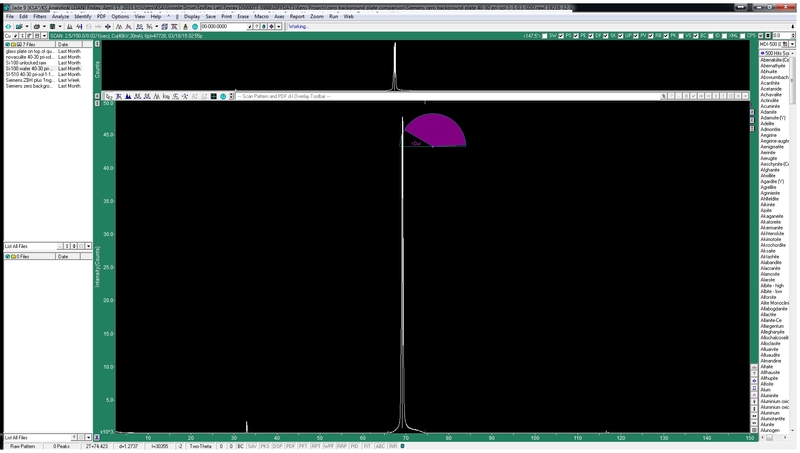 Simple models just rotate the sample at some fixed speed and are very simple to operate. More advanced rotating stages are driven by a stepper motor. 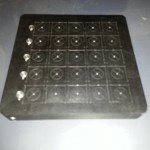 This allows them to rotate at any speed within their range, but also offers and extra degree of freedom which can be used for scanning or oscillations. We refer to these stages as Phi drives. We prefer zero background holders for small volumes of sample, but there are times when a sealed capillary is the only way to go. This stage holds the capillary and allows for its position to be precisely adjusted into the beam path. This can be a bit tedious, but running highly reactive materials would be much more difficult and dangerous any other way. Non-ambient stages allow control over temperature, atmosphere, humidity and sometimes even pressure. 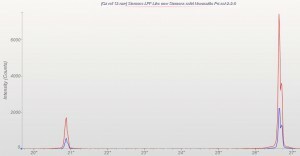 This particular stage can operate anywhere from -170 (LNC Cooled) to 300 C. Inert gas or ambient atmosphere are also possible. This stage is purely for heating. 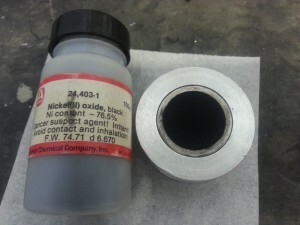 With a maximum temperature setting of 2400 C, the ability to purge the chamber to a high vacuum is essential. The blue hoses are for cooling the outer body of the stage. On the other end of the spectrum is this specialized Oxford stage which can cool a sample to 12 K all while an XRD experiment is running. It uses liquid Helium in a recirculating loop. 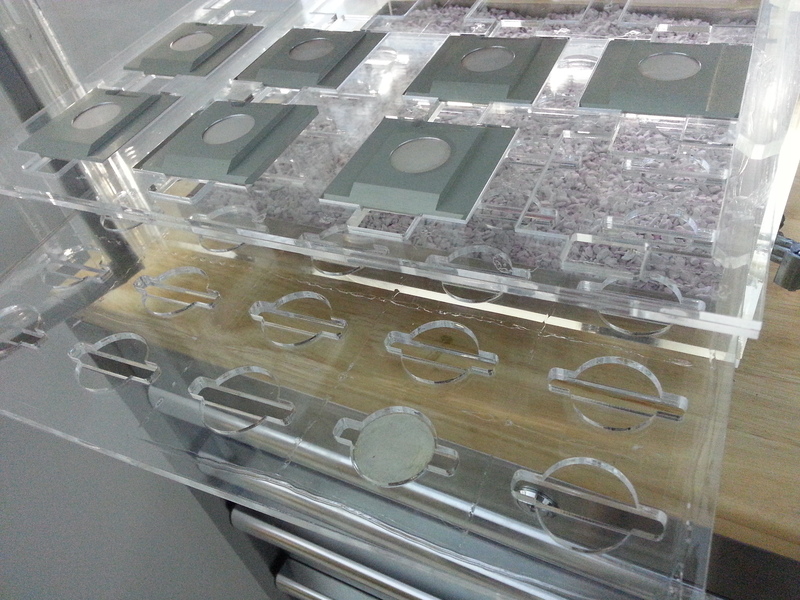 Vacuum holding is common when working with semiconductors or other materials with very consistent thicknesses. 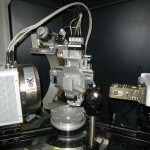 This is a specialty stage for performing XRR analysis on wafers. 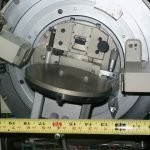 The flat area of the stage is a vacuum wafer chuck which can be precisely raised and lowered to put the surface exactly in the plane of diffraction. For those who never know what might come through the door, a full-sized XYZ stage might be the only answer. This unit offers 50mm of travel in all axes and can be software controlled to allow for iterations, loops, oscillations or texture mapping. Taking this idea to giddy extremes we have a stage designed for micro-diffraction and texture. Beyond the standard Theta and 2Theta, this goniometer is equipped with Chi, Phi X, Y and Z axes. It’s quite impressive when they’re all working in concert to orient a sample. We’ve been working with XRD machines for about 40 years now and to be quite honest, very little has changed. Most of the really exciting advancements have been software based, but there have certainly been changes to the hardware as well. 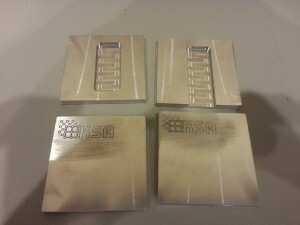 We’ve introduced a few ourselves such as the KSA-SDD-150 detector. 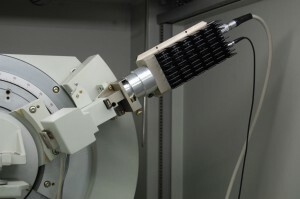 Automatic anti-scatter and divergence slits, additional axes and degrees of control have all increase the versatility of these instruments and opened them up to more advanced and unique experiments, but nothing has had an effect matching the new crop of Position Sensitive Detector (PSD). These have been around for decades, but didn’t really become popular until the a solid state version was introduced. There are still some trade-offs as mentioned in our KSA-SDD-150 post, but when you need speed, a PSD is the way to go. Until recently, the only option for clients looking for this kind of speed was either a new XRD or a refurbished Bruker D8 system with a LynxEye or Vantec-1. While the D8 is a great machine and the LynxEye is a world class detector, the cost is usually too much for academic or small labs to bear. This has all been changing recently with the introduction of a truly aftermarket detector system from FCT ACTech. No other company that we’re aware of has worked so hard to make their hardware as turnkey as possible so the user isn’t left holding a box of parts and an instruction manual. 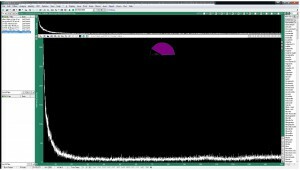 We can now offer detector upgrades for D5000 Theta/Theta and D5000 T2T systems with kits soon to be available for D500 systems as well. 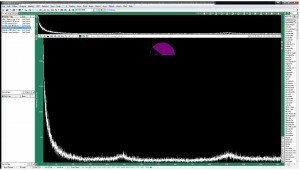 Software integration with DiffracPlus (standard software for Bruker XRD systems) is seamless and full integration with MDI Datascan is very close to completion. The future is very bright for users of these XRD systems. Data collection at 30x the speed of a standard point detector. 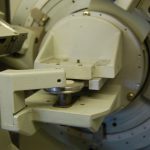 Compatible with all common XRD tube anodes including Cr, Fe, Co, Cu, Mo and W.
Energy-dispersive detectors have been in use on XRD systems for decades, but have always come with caveats. 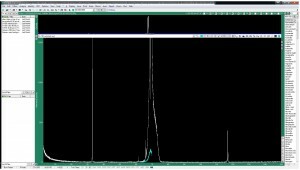 Low energy resolution, Liquid nitrogen cooling, slow start-up and tedious/cryptic tuning controls have limited their popularity in many applications. Silicon Drift technology solves most of these issues and modern electronics covers the rest. 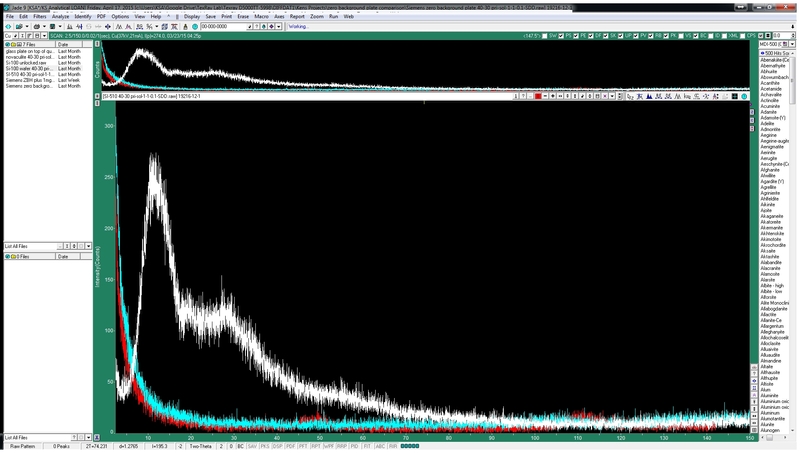 The new KSA-SDD system for X-ray diffraction utilizes a full spectrum EDXRF detector which is fully software tuned. 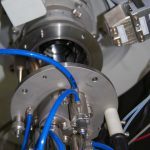 The result is a detection system with high enough energy resolution to match the performance of the traditional diffracted-beam monochromator/scintillation counter combination without the inherent 75% intensity drop. 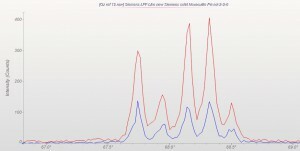 The increased countrate allows for much faster data collection speeds with the same counting statistics. 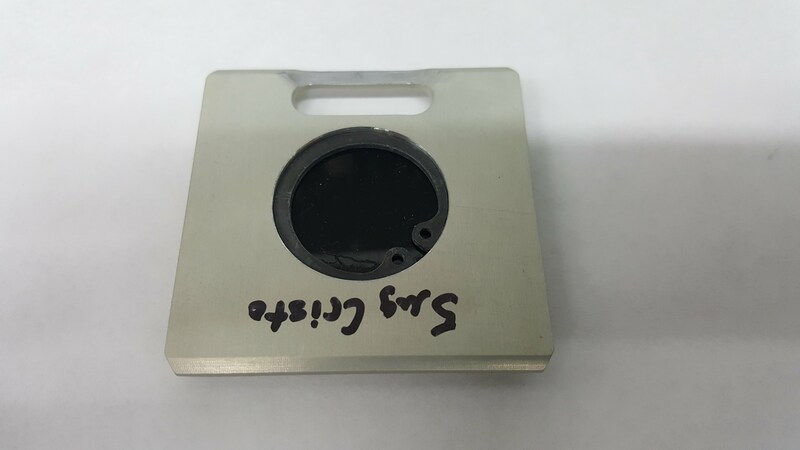 We’ve been using this technology at our in-house testing lab (Texray Laboratory Services) for several months to great effect while we refined the system and are now ready to open it up to all XRD users. 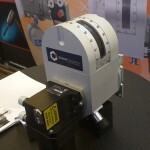 Contact us to discuss options for integration into your diffractometer. SDD-XRD-150 installed on a Siemends D5000TT PXRD system. 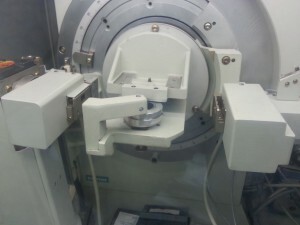 This is one of the powder systems we operate at Texray-Lab. 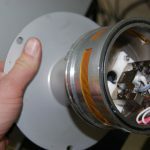 The detector mounts directly in place of the original scintillation counter. Scanning 3-4 times as fast as the traditional scintillation counter/diffracted beam monochromator yields nearly identical results. 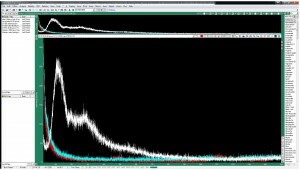 Scanning at the same rate results in much smoother scans, greatly improved statistical data and lower limits of detection/quantification. 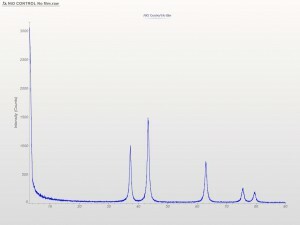 Complete scan of Novaculite Quartz with a diffracted beam monochromator and scintillation counter vs the new KSA-SDD-150. 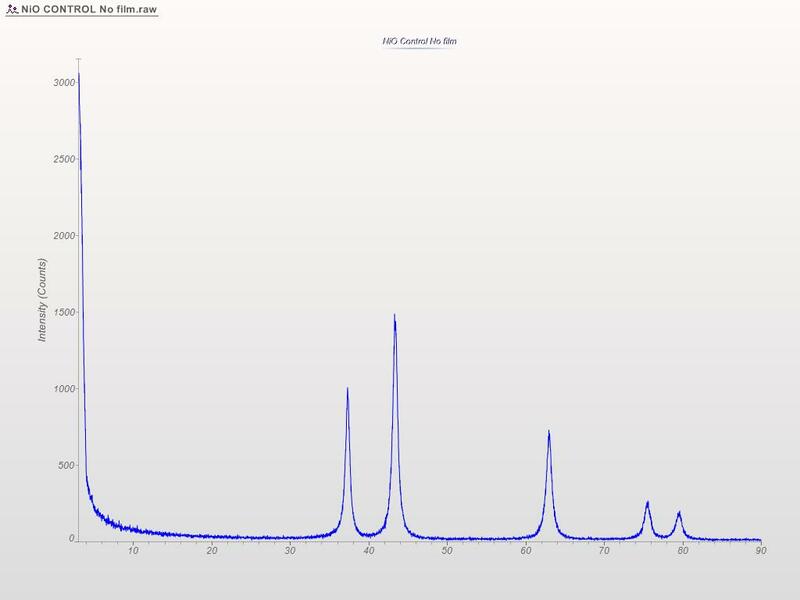 5-fingers of Quartz scan of Novaculite Quartz with a diffracted beam monochromator and scintillation counter vs the new KSA-SDD-150. 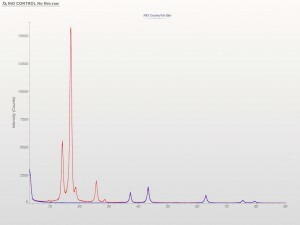 All KB peaks eliminated electronically. 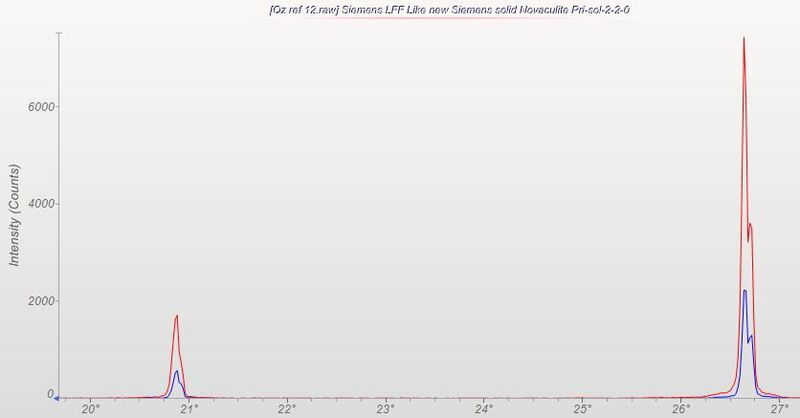 W LA1 (8.40 KeV) lines eliminated from Cu KA1,2 (8.04 KeV) scans even with thoroughly contaminated tubes. 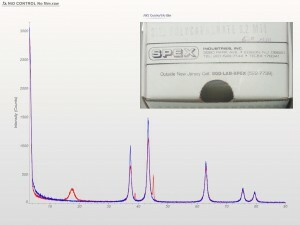 Most PSD detectors offer no better than 650eV. 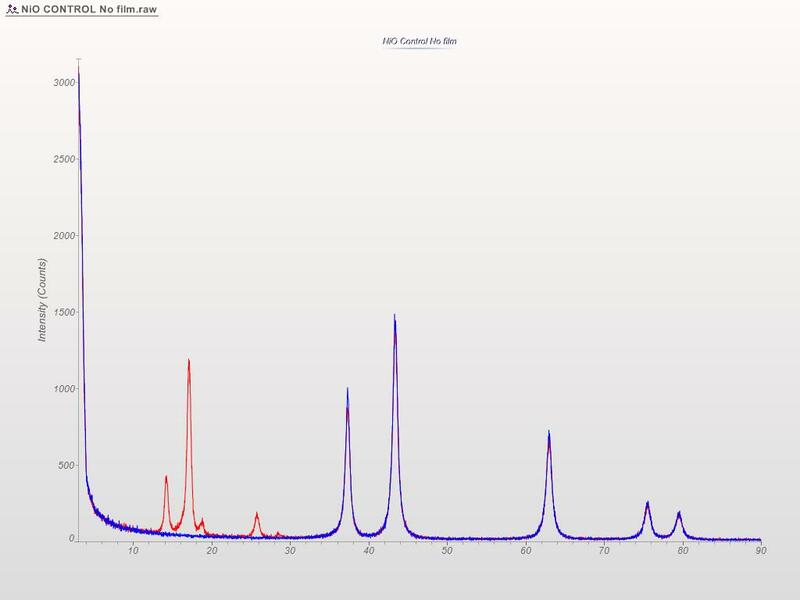 This allows for a great deal of fluorescence energy to pass as well as W LA1 from older Cu tubes. The detector mounts in place of the traditional scintillation counter allowing for use of automated variable (motorized) or interchangeable aperture slits to control angular resolution. 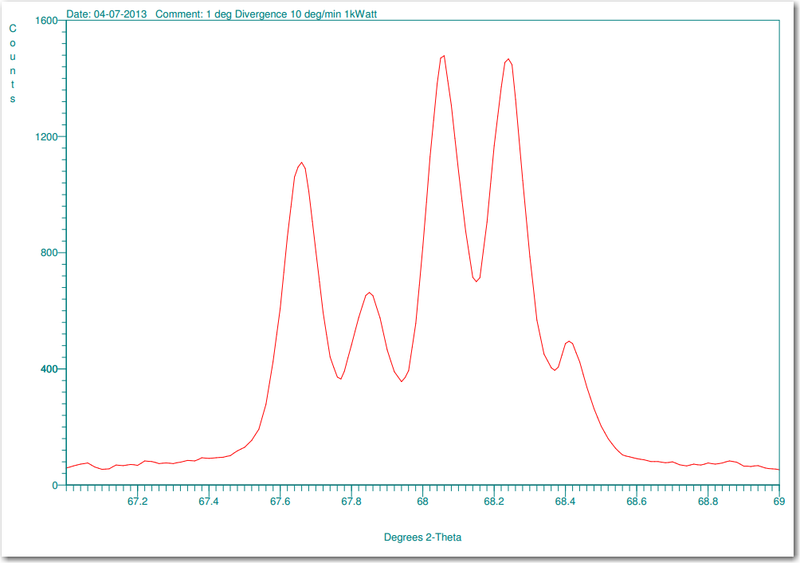 Scans starting from 0.5 degrees 2? are possible with the proper slit arrangement just as they are with the scintillation counter. The user controls the intensity vs angular resolution of the scan based upon the ideal conditions for their work rather than the limitations of the hardware. Position sensitive detectors are wide open by design which necessitates knife edges over the sample and additional mechanical aperture plates to block air scatter at low angles. Closing off the detector limits the useable channels and reduces the benefit of these detectors dramatically. Minimal low angle scatter due to the use of standard aperture slits. 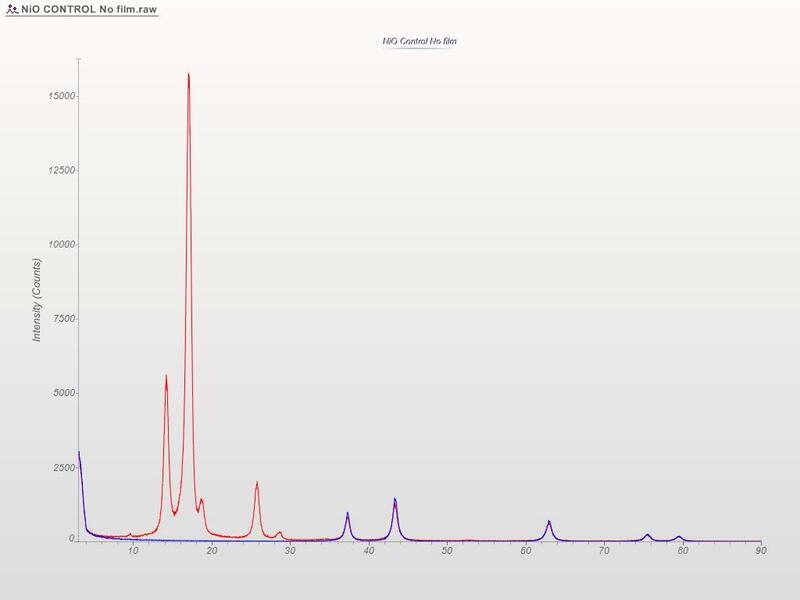 Cu KB1 and W LA1 energies diffract from the 100% peak of Novaculite in between the two primary peaks shown here. 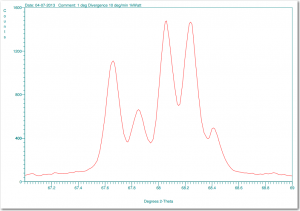 Tests with a severely contaminated tube showed no W LA1 passing through the discriminator. 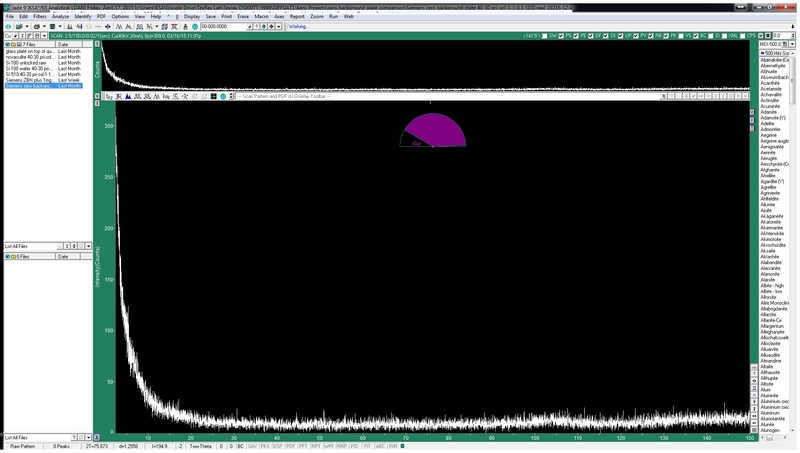 No delays – The detector is ready to collect data almost as soon as power is applied. No external cooling – Air backed Peltier cooling eliminates the need for water circulation and/or liquid nitrogen. Zero maintenance vacuum design eliminates reliance on an ion pump/backup battery. 12 month warranty against hardware failure under normal use. The Digital Pulse Processor (DPP) includes a usb interface allowing for adjustment and refinement should they be necessary for a particular application. 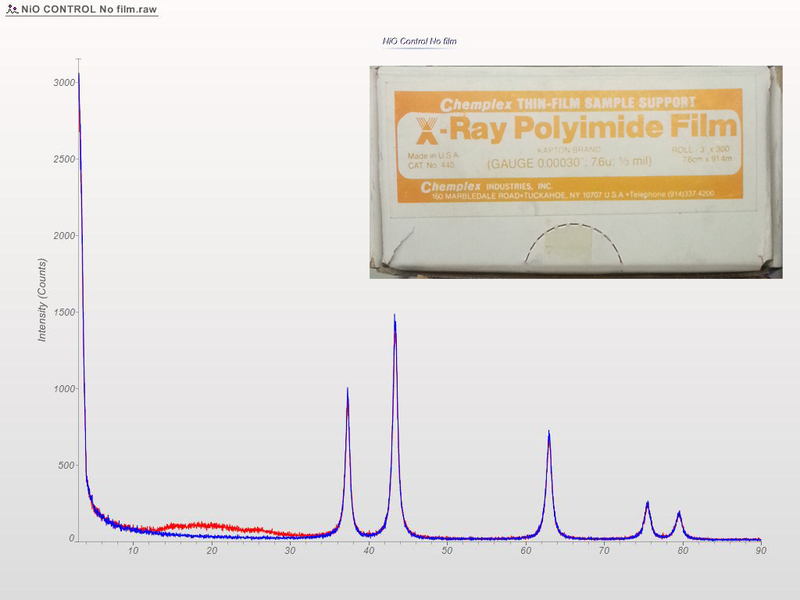 With optional software, full quantitative EDXRF analysis can be performed. 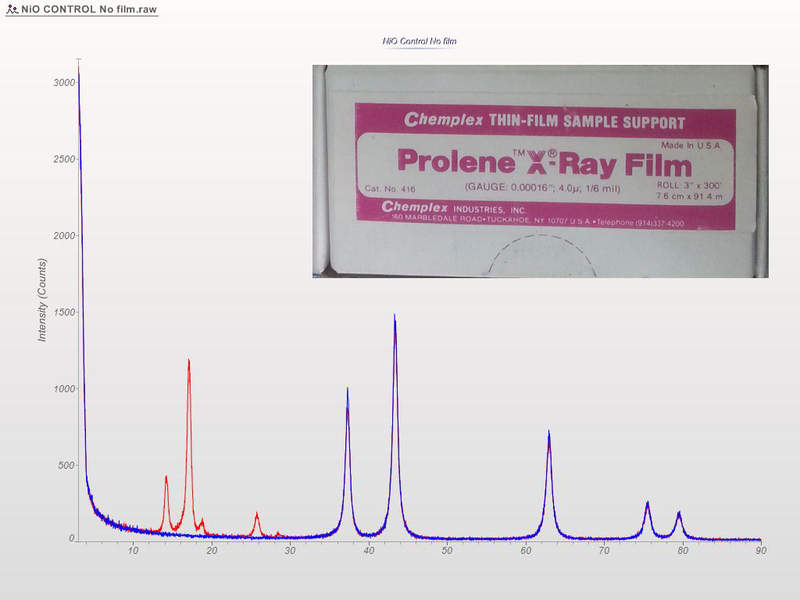 Compatibility with grazing-incidence attachments and parallel beam optics for analysis of thin films. The detector can be set for any common XRD anode (energy) easily. Multiple energies may even be configured to allow for use with various anodes without the need for additional hardware. 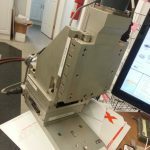 We specialize in Siemens (now Bruker) XRD and WD-XRF instrumention and have installation kits ready for the D500, D5000 and D5005. The output is a standard BNC cable with a 5V square pulse output which is standard across every manufacturer we’ve worked with. 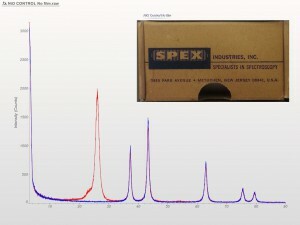 Kevex and Thermo Si(Li) detectors used this same output. 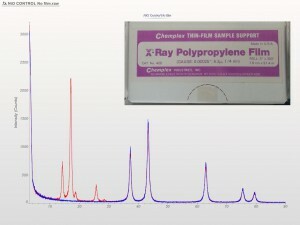 Please contact KS Analytical Systems for a quote. 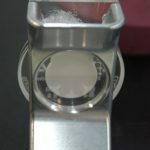 The most common practice in powder XRD is to simply fill the recessed well of a sample holder with finely ground powder and start collecting data. That works for a great many users, but everyone is eventually faced with a more complicated situation at some point. At Texray, odd samples and special requirements are the norm. The photos below represent some of the common and not-so-common needs we’ve come across. 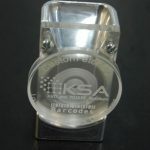 Many of these are one-off designs fabricated by KS Analytical Systems. The top row shows the three most common holders we see with various well depths. These are almost exclusively used for loose powders. 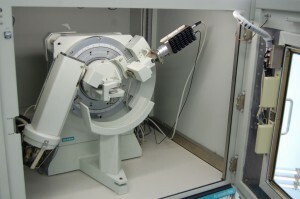 The goal is to get the surface of the sample into the plane of diffraction with as little of the holder in the beam as possible. 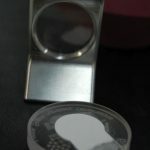 The plastic material has a very high scattering coefficient which creates a hump in the data around 13 degrees 2Theta. 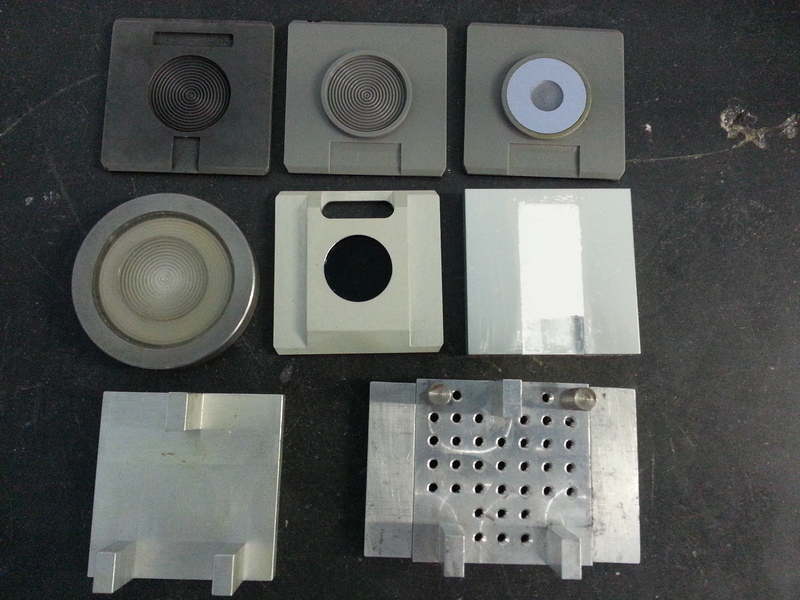 These are all designed for the 40-position sample changers from Siemens (now Bruker). The second row gets more interesting with a special holder for high volume instruments. This was designed for magnetic handling and worked great as long as you don’t mind the low angle scatter problem of the plastic and aren’t working with ferrous powders. The middle is one we use for collecting data from membrane filters. 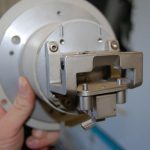 These are notoriously hard to hold down with any precision so they get mounted from the rear and held against a “lip” to keep them both flat, and in the plane of diffraction. They work wonderfully. Next we have a simple side load sample holder. I’m a big fan of these and use them anytime I’m running loose powders on a single sample stage. It allows the user to load with a very smooth top surface that’s perfectly flat without creating any preferred orientation. Preferred orientation is frequently caused by pressure being applied to the basic top-load holders in an effort to get a flat surface. It is to be avoided whenever possible. Notice that the holders are all Aluminum at this point. 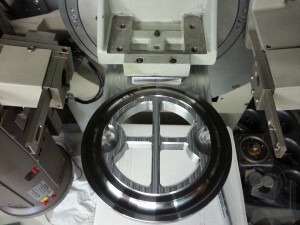 Most custom holders are Al or a combination of Al and stainless steel depending upon the special properties desired. 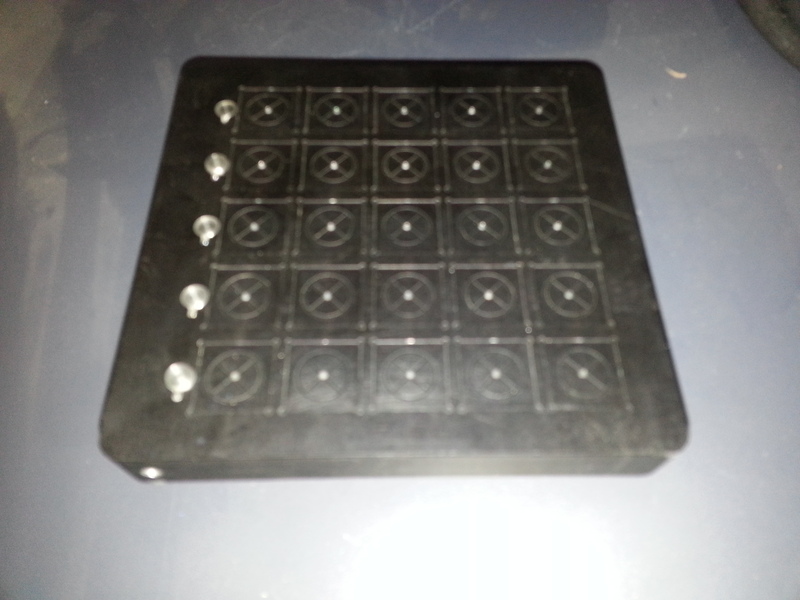 The last row are good examples of odd-shaped sample holders. When you’ve got a rock with one flat surface or a little chip of some material, you still need to keep it in the plane of diffraction. 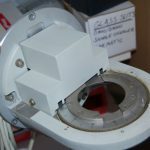 The user simply places a ball of clay in the middle of the holder, the sample goes on top of that and then a glass plate is used to crush the clay (with the sample on top) down such that everything is in plane with the elevates posts. 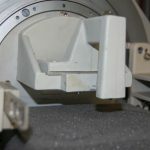 These posts interface with the machine to define the plane of diffraction right across their surface, thus the sample is right where it needs to be without any complicated engineering or microscopic adjustments. Custom holders for a D500 user. Side load as well as top-load in Al. Side load precision without the possibility of powder falling out at low angles. We needed to keep our standards in our desiccator cabinet as well as store membrane filters long-term. Custom laser-cut shelves make this easy. 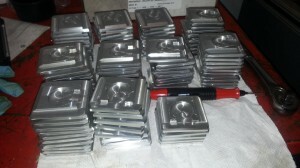 A typical run of custom sample holders for a high volume XRD operation. This user actually has a custom loading tool that allows for multiple holders to be filled simultaneously.